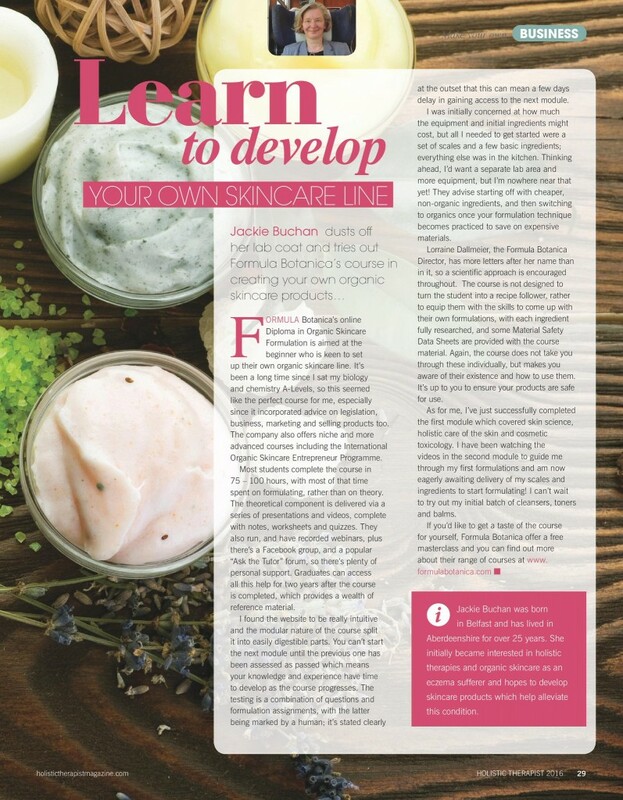 Holistic Therapist Magazine recently asked us if they could enrol for our Diploma in Organic Skincare Formulation and review Formula Botanica’s course for their magazine. 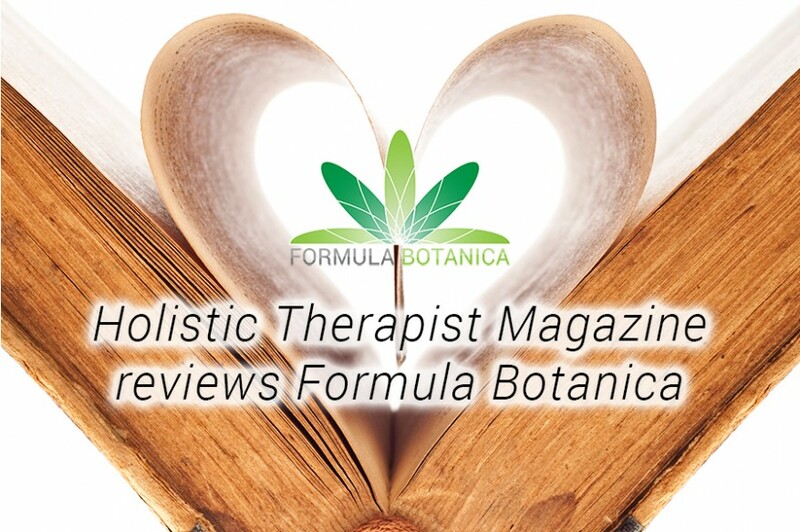 Their annual 45,000 readers are big fans of all holistic therapies so the magazine felt that Formula Botanica would be a good fit for their readership. We were obviously excited to welcome their journalist, Jackie Buchan, into our student community. 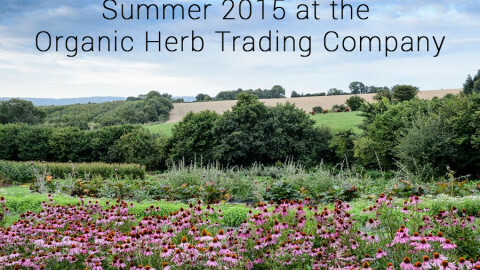 We were even more excited when we read Jackie’s review of our Diploma in Organic Skincare Formulation. Thank you to Jackie and to Holistic Therapist Magazine, we hope Jackie enjoys the rest of the course. 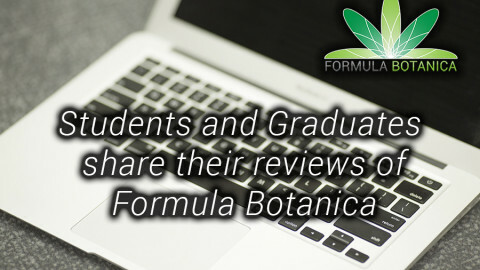 If you want to read our student reviews of Formula Botanica, you can also visit our public Trustpilot site.